..."There are lots of people from all kinds of countries (in America), so I felt relaxed," she said. "My family is all black, so I felt relieved. I was like, 'Wow, these people are the same color as me!' Over there, I definitely felt a sense of peace - it was easy to live there." Bay McNeil, "Meeting Miss Universe Japan, the 'half' who has it all," The Japan Times, (April 19, 2015). http://www.japantimes.co.jp/community/2015/04/19/general/meeting-miss-universe-japan-half. Shape Shifters presents a wide-ranging array of essays that examine peoples of mixed racial identity. Moving beyond the static “either/or” categories of racial identification found within typical insular conversations about mixed-race peoples, Shape Shifters explores these mixed-race identities as fluid, ambiguous, contingent, multiple, and malleable. This volume expands our understandings of how individuals and ethnic groups identify themselves within their own sociohistorical contexts. The essays in Shape Shifters explore different historical eras and reach across of the globe, from the Roman and Chinese borderlands of classical antiquity to Medieval Eurasian shape-shifters, the Native peoples of the missions of Spanish California, and racial shape-shifting among African Americans in the post–civil rights era. At different times in their lives or over generations in their families, racial shape-shifters have moved from one social context to another. And as new social contexts were imposed on them, identities have even changed from one group to another. This is not racial, ethnic, or religious imposture. It is simply the way that people’s lives unfold in fluid sociohistorical circumstances. With contributions by Ryan Abrecht, George J. Sanchez, Laura Moore, and Margaret Hunter, among others, Shape Shifters explores the forces of migration, borderlands, trade, warfare, occupation, colonial imposition, and the creation and dissolution of states and empires to highlight the historically contingent basis of identification among mixed-race peoples across time and space. Mixed racial and ethnic identities are topics of increasing interest around the world, yet studies of mixed race in Asia are rare, despite its particular salience for Asian societies. 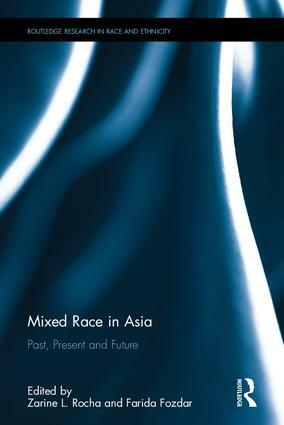 Mixed Race in Asia seeks to reorient the field to focus on Asia, looking specifically at mixed race in China, Japan, Korea, Indonesia, Malaysia, Singapore, Vietnam and India. Through these varied case studies, this collection presents an insightful exploration of race, ethnicity, mixedness and belonging, both in the past and present. The thematic range of the chapters is broad, covering the complexity of lived mixed race experiences, the structural forces of particular colonial and post-colonial environments and political regimes, and historical influences on contemporary identities and cultural expressions of mixedness. Adding significant richness and depth to existing theoretical frameworks, this enlightening volume develops markedly different understandings of, and recognizes nuances around, what it means to be mixed, practically, theoretically, linguistically and historically. It will appeal to undergraduate and postgraduate students, as well as postdoctoral and other researchers interested in fields such as Race and Ethnicity, Sociology and Asian Studies. 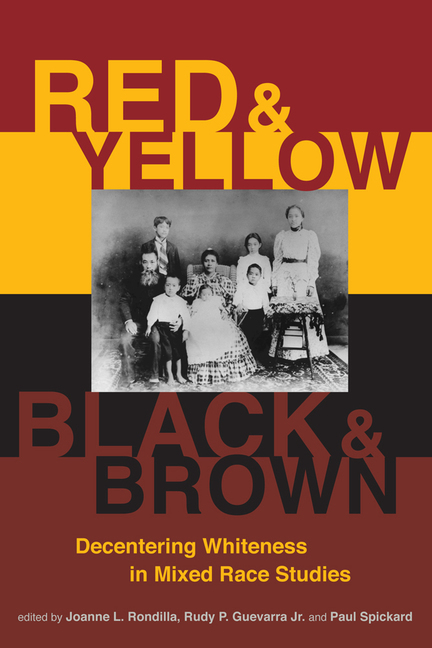 Red and Yellow, Black and Brown gathers together life stories and analysis by twelve contributors who express and seek to understand the often very different dynamics that exist for mixed race people who are not part white. The chapters focus on the social, psychological, and political situations of mixed race people who have links to two or more peoples of color— Chinese and Mexican, Asian and Black, Native American and African American, South Asian and Filipino, Black and Latino/a and so on. Red and Yellow, Black and Brown addresses questions surrounding the meanings and communication of racial identities in dual or multiple minority situations and the editors highlight the theoretical implications of this fresh approach to racial studies. Kaya Press is thrilled to announce the official publication of Hapa Japan: History Vol. 1 and Hapa Japan: History Vol. 2 edited by Duncan Ryūken Williams. The history and experiences of mixed-race Japan have long remained almost invisible in a country that believes in its own myths of homogeneity, despite a history that extends backwards to the 8th-century emperor Kammu Tenno (who was part Korean) through to Japan’s first female physician (part German) during the 19th century, and forward to the present day, when 1 of every 30 Japanese babies are born to families with one non-Japanese parent. Hapa Japan: History (Volume 1) is the first substantial collection of essays to survey the history of global mixed-race identities of persons of Japanese descent. Edited by Duncan Ryuken Williams, the founder of the Hapa Japan Database Project, this groundbreaking work unsettles binary and simplistic notions of race by making visible the complex lives of individuals often written out of history. The United States’ long record on race is, shall we say, checkered. Even in a time when an African-American sits in the White House and mixed-race families are common, issues of race and identity still roil the national conversation. How do we make sense of this seeming contradiction? Race in Mind presents fourteen critical essays on race and mixed race by one of America’s most prolific and influential ethnic studies scholars. Collected in one volume are all of Paul Spickard’s theoretical writings over the past two decades. Ten of the articles have been revised and updated from previous publications. Four appear here for the first time. Spickard’s work embraces three overarching themes: race as biology versus race as something constructed by social and political relationships; race as a phenomenon that exists not just in the United States, but in every part of the world, and even in the relationships between nations; and the question of racial multiplicity. These essays analyze how race affects people’s lives and relationships in all settings, from the United States to Great Britain and from Hawaiʻi to Chinese Central Asia. They contemplate the racial positions in various societies of people called Black and people called White, of Asians and Pacific Islanders, and especially of those people whose racial ancestries and identifications are multiple. Here for the first time are Spickard’s trenchant analyses of the creation of race in the South Pacific, of DNA testing for racial ancestry, and of the meaning of multiplicity in the age of Barack Obama. Seventy years ago many Japanese people in occupied Tokyo after World War Two saw US troops as the enemy. But tens of thousands of young Japanese women married GIs nonetheless – and then faced a big struggle to find their place in the US. For 21-year-old Hiroko Tolbert, meeting her husband’s parents for the first time after she had travelled to America in 1951 was a chance to make a good impression. She picked her favourite kimono for the train journey to upstate New York, where she had heard everyone had beautiful clothes and beautiful homes. But rather than being impressed, the family was horrified. “My in-laws wanted me to change. They wanted me in Western clothes. So did my husband. So I went upstairs and put on something else, and the kimono was put away for many years,” she says. …The War Brides Act of 1945 allowed American servicemen who married abroad to bring their wives home, but it took the Immigration Act of 1952 to enable Asians to come to America in large numbers. When the women did move to the US, some attended Japanese bride schools at military bases to learn how to do things like bake cakes the American way, or walk in heels rather than the flat shoes to which they were accustomed. But many were totally unprepared.